Cornrows are not only a great hairstyle but are also a deeply rooted part of African history. 1. Use a medium-to-fine-toothed comb to part the hair, separating a row of hair into your desired length. 2. 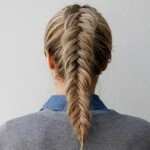 Determine the direction you want the braid to go in. Remember to begin braiding at the base of the strand, moving out to the tips. 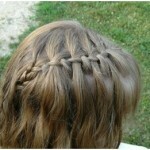 This will give you that smooth, finished look that makes these braids so popular. 3. 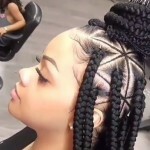 Once you’ve figured out which way you want the cornrows to go, go to the section you want to begin with and separate it into three small sections. The left strand will be A, the middle B, and the right strand will be C.
1. Hold A between the second and third fingers from the pinky. 2. Hold B between the index finger and the thumb on your left hand. 3. Take C with the thumb and index finger of your right hand. 4. Use your right index finger to grab A from the left hand. 5. Bring it under B and over C.
6. Use your index finger to carry over C, as you simultaneously grab the hair from the row underneath. 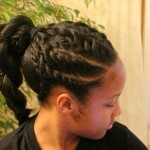 • Put a cap of shampoo and water together and pour it over the braids. 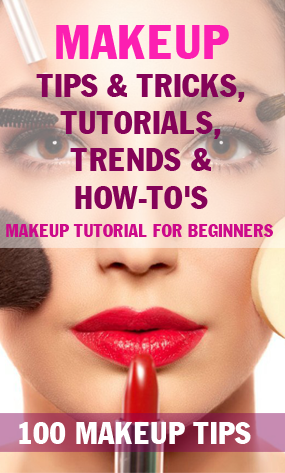 • Take a cottonball and rub it over your scalp in one direction. • Wash out the shampoo. • To keep your scalp from drying out, use a spray on conditioner. 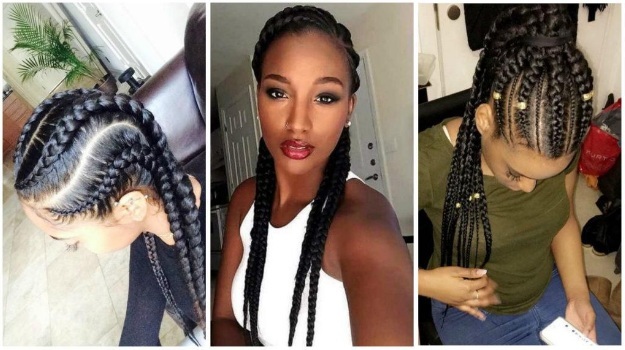 Will Cornrow Braids Work for You? Whether cornrows are right for you is a question can only you can answer. Cornrows can be a good low maintenance hairstyle for those who wear it. However, what works for one person may not for another person. Just look at the celebrity list above for examples of who it has worked for and who it hasn’t. Sometimes the best way to find out if something works is to take a chance try it.